In previous articles, we were talking about the main individual factors that determine the construction of proper exercise and nutrition strategy. These factors, when combined in different mixes, are creating the body types. 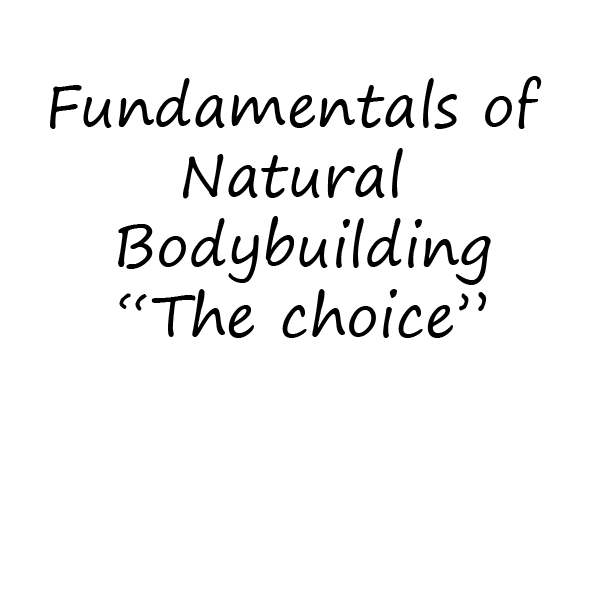 There are mainly 3 body types, and this article we will discuss them in details. 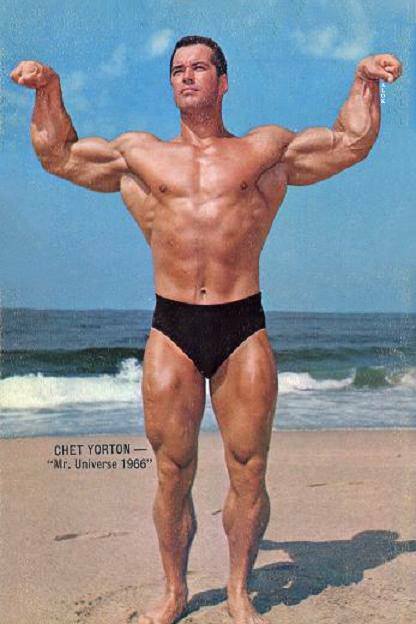 In the 40s of the last century, Dr. William Sheldon, a professor from Harvard, classified three basic body types, called somatotypes – ectomorph, mesomorph and endomorph. Broadly speaking, endomorphs have thicker bones, slow metabolism and it’s easy for them to increase fats; mesomorphs are naturally muscular and athletic; and ectomorphs are slim, with thin bones and fast metabolism. These body types, however, can hardly be met in their pure form. Usually, every person has a different combination of two or even of three somatotypes, one of which is predominant. For a more accurate assessment of body type Sheldon introduces a 7-point system to determine the extent to which manifests each of the types to different people. 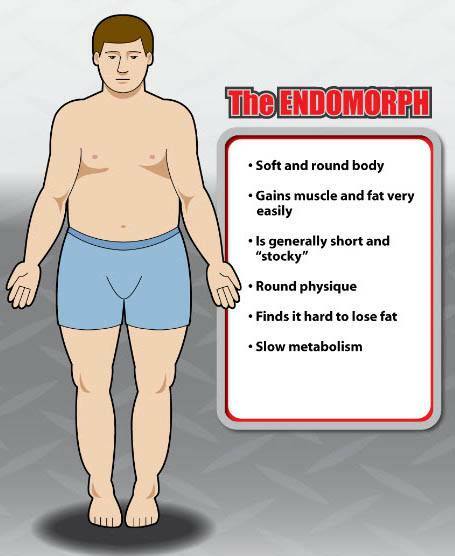 This system uses 3 numbers, each from 1 to 7, as the first number evaluates endomorph’s component, the second – mesomorphs, and the third – ectomorph’s. For example, extreme endomorph will be evaluated with 7-1-1 ie assessment rate 7 for endomorph, 1 for mesomorph and 1 for an ectomorph. Pure body types are rare, more often we have a combination of these. For example, a person who gains muscles relatively easy, but along with them he tends to accumulate a lot of fat, can be defined as an endomorphic mesomorph. Such people will perform successfully in power sports such as weightlifting and wrestling. They have a lot of muscle, but it’s difficult for them to deal with subcutaneous fat. According to Sheldon’s scoring system, this body type can be expressed for example as 5-6-1. 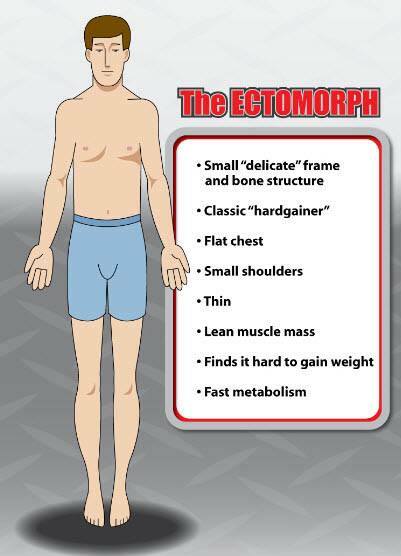 Another example is the ectomorphic mesomorph. He gains muscles moderately, barely increasing fat and has relatively slim and long bones. Almost all basketball players have such a body type that can be assessed as 1-4-5. To find out which is your dominant body type we will specifically look at each one along with their main characteristics. This way you can determine the right food and exercise strategy for your purposes and somatotype. A lot of people who train hard, but find it hard to reduce subcutaneous fat are endomorphs. They are with genetically slower metabolism and it’s easy for them to gain fat. This problem is sometimes further exacerbated by extremely low levels of thyroid hormones (thyronine) and / or other hormonal imbalances. Often, but not always, they are with stronger bone structure, shorter limbs and wider waist and hips. This helps them to be stronger, so often they dominate in power sports. Endomorphs are more sensitive to carbohydrates so high carbohydrate diets are not particularly effective in dealing with fatty accumulations and increase of pure muscle mass. This is due to blunt insulin sensitivity of their cells, so they are predisposed to developing diabetes type II (non-insulin dependent). The high insulin levels in their body leads to fat accumulation and prevents fat degradation, also increases the appetite, which is another obstacle for a clean and muscular physique. The best diets for a typical endomorph are those with low to moderate intake of mostly slow carbohydrates, moderate intake of protein and moderate to high intake of fat. Depending on the degree of endomorph component and the main goal, the percentage of calories from macro-ingredients may vary between 20-30% carbohydrate, 30-40% protein and 30-40% fat. This will reduce the excess secretion of insulin and it will improve the insulin sensitivity. The main intake of carbohydrates should be taken after training. It is important to avoid all carbohydrates with high glycemic index because they are transformed into fat more easily than in other body types. An exception can be made with the post-training eating because this is the time when muscle mass is increased. It’s also important to eat many vegetables and other fiber-containing foods, which will prevail the rapid absorption of food and the sharp increase in blood sugar, followed by high insulin secretion. Moreover, they satiate without unnecessary calories. Ectomorphs and mesomorphs can reasonably often apply cheating in their diet without increasing any fat. But endomorphs need to eat clean almost all the time because too much food or the wrong foods lead to worsening insulin sensitivity and rapid increase of overweight. The maximum for them is one or two cheating meals per week, but if would be better if they can go without them. Instead, it is better to apply a carbohydrate rotation – days with lower and days with higher carbohydrates. Endomorphs can not rely on the believe that they will deal with their propensity to accumulate fat only with a diet without exercise. For them, training is more important than for other body types. They need to train more than any other to speed up their metabolism and increase power consumption. Training should include more cardio activities and not only power exercises. If endomorph wants to be in shape, he should make sports a way of life and he should be very disciplined, both in nutrition and in training. People with small endomorph components can stay clean or reduce fat with little or no cardio activity. Cardio workouts for endomorphs, however, must be frequent and throughout the year, whether the goal is to increase weight or reduce fat. 20-30 minute sessions 3-4 times a week for moderate endomorph or for maintaining the achieved, up to 30-45 (sometimes up to 60) minutes almost every day for burning fat and for people with high endomorph component. Strength training should be performed 4 to 6 times per week to reach the goals or at least 3 times per week to maintain the results. It should include mainly many joint exercises for large muscle groups with 12-15 repetitions at an optimal intensity and short breaks between sets. This creates a large training volume, burn a lot of calories and boost metabolism and secretion of hormones that burn fat. Among other things, endomorphs should be very active during the day. His overweight often makes him lazy. He must find his inner motivation to train often enough, more intensively and to strictly comply diet. He should not sleep till late and oversleeps. Getting up early, followed by a morning cardio on an empty stomach and a dynamic day is the best regime for an endomorph. Endomorphs lose fat more slowly and difficult compared with ectomorphs and mesomorphs for this purpose and in order to do so endomorphs should make much more effort. But if they are sufficiently strict and comply with requirements for their body type, they will burn fat stores as any other type and their slow metabolism should not serve as an excuse, but as their challenge. An example of a bodybuilder with a predominant endomorphs component that analyzed the advantages and disadvantages of his body type and has developed the most of it is Mr. Olympia Jay Cutler. 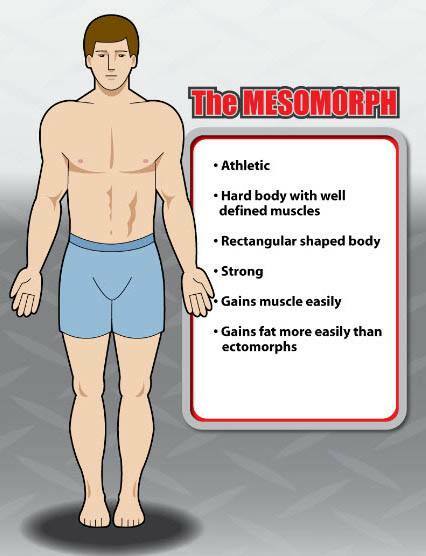 Mesomorphs are naturally muscular and with a low fat percentage. They are born athletes, even many of them are quite muscular, even before they start to train, and when they start their muscles grow like mushrooms. There is not much to say about nutrition and training of mesomorphs. They look good, no matter how they train and what they are eating. And if they exercise and eat properly they can achieve amazing results. But when it comes to a high-level sports mesomorphs often fail. This is because for them results come easily, they rely on their genetics and do not train as hard as they could or do not follow a strict regime. This way they will never reach their full potential and someone not so genetically gifted, but far more tenacious and disciplined will take the first place under their noses. So my advice to this body type is if they want to get involved in professional sport and be the best they should not rely solely on their genetics. Yet, to develop their full potential the mesomorphs can afford to train a little more often and more intensely than others because their opportunities for recovery are better. An example of such mesomorph in the highest level is Arnold Schwarzenegger, who during his competitive career has trained each muscle group two, even three times a week, six days a week and he was recovering well enough. For someone who does not have his genetics, this is tantamount to overtraining. In the training methodology is better to combine mixed with isolated movements and the repetitions should be in the range 8-12. Cardio workouts are important not so much to deal with fat as to overcome the natural lack of endurance. For this, two to three sessions per week for 25-30 minutes are enough. Of course, if the goal is to bring the percent of body fat to extremely low values (such as preparing for a competition) cardio workout may be increased. Although, mesomorph can eat anything and still look good, those with larger ambitions in sport must also select qualitative food. The good ratio of protein, fat, carbohydrates is 30:30:40 percent. Ectomorphs also rarely have a problem with body fat. Their metabolism is fast and efficient enough, not to allow it. However, what they often encounter is the difficulty to increase muscle mass, because they are usually tall and thin, sometimes with quite underweight. In fact, the main reason that makes the ectomorph enter the gym is to increase weight. Their bone structure includes thin bones, small joints and small waist and hips. In their muscles, slow muscle fibers prevail, which are better for endurance rather than strength and mass. They have increased production of thyroid and stress hormones, which is due to their murderously fast metabolism. Most ectomorphs have no problem with carbohydrates and can consume them in large quantities, without affecting in any way. They say that no matter what they eat and exercise they can not increase muscle mass. They justify themselves with being hard-gainers and soon after they quit. But as endomorphs can handle fat with proper methodology and enough perseverance so is the ectomorph able to gain muscles with adjusted exercise and nutrition strategy. Indeed, it will be a slow process, so he must be patient and not waste time with regimes that are not for him. Ectomorph, amongst all, is prone to hyperactivity, which furthers his increase of already great energy expense. So at first he must reduce his locomotor activity if possible, be calm and relax the nervous system, reduce stress and sleep enough. To gain mass ectomorphs need a lot of calories and they must comply one basic rule: never miss a meal. Skipping meals is their biggest mistake, for them, it is better to miss a workout than eating! The most important meal is the post-training meal. It must include fast enough carbohydrates and easily assimilable source of protein to stop the increased catabolic processes. The ectomorph may gain mass and decrease fat levels with high-carbohydrate diet. For the typical representative of this body type good percentage distribution of calories from macro-ingredients includes 55-60% carbohydrates, 25-30% protein and 15-20% fat. Some ectomorphs think they have to slow down their metabolism, but it will not lead them to more clean muscles. They just need to overcome the big calorie balance. If there is any higher endomorphs component, which is expressed in reduced insulin sensitivity, the carbohydrate may be reduced to 40% or less. These are the so-called skinny-fat (slim with fats) type that combines high ectomorphic and endomorphic components. The ectomorph is also often confused in the training approach, considering that if he trains more and more often he will achieve better results. Ironically, it is exactly the opposite – training should be short and intense in order not to create large energy expense and not to secrete too many stress hormones. Training should be up to 1 hour and not more than 4 hours per week. Mixed movements are suitable – like squats, deadlifts, military press, bench press lifting and other exercises with high intensity with 5 to 8 reps in the series. If you want to gain mass, cardio workouts are taboo for the pure ectomorph. Only at a larger endomorphic component and the accumulation of fat more than desired it may be added 2 to 3 sessions a week for 15-25 minutes, which should be pursued as separate training (it’s best to do so morning). 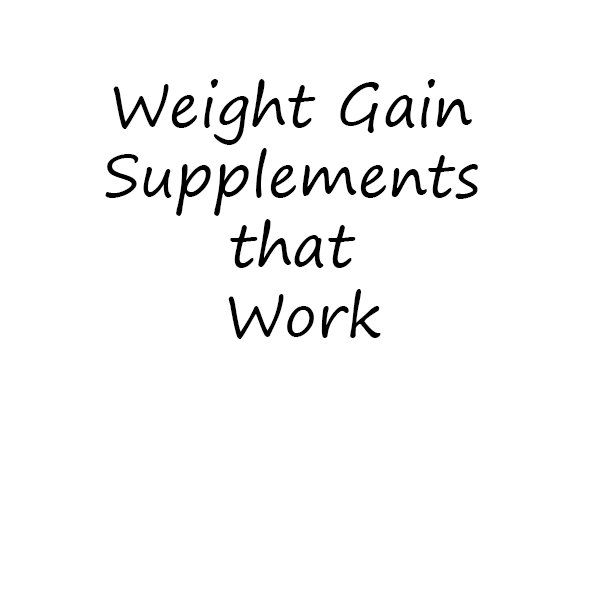 The same applies if the purpose of ectomorph is to reduce the fat to a minimum, although, at first he may try only with a diet without a cardio workout, which he can start if the diet does not bring him the desired results. The difficulty for him will be not to clear the fat but to keep the hard gained muscles. If he succeeds, he will present a highly textured and proportionate physics as the three-time Mr. Olympia Frank Zane. IS IT POSSIBLE TO CHANGE THE SOMATOTYPE (Change your Body Type)? Somatotype is a qualitative description of present form and composition of the human body. It is expressed by the evaluation of 3 numbers representing the three components of the body (1) endomorphic, (2) mesomorphic and (3) ectomorphic. Somatotype can be used to detect changes in physics and to appraise the biological differences and similarities between people. The method of somatotype is sensitive to the changes in the morphology over time and it is used for ranking of both genders at all ages. So who is right and who is wrong – Sheldon or Heath-Carter? This might seem counterintuitive, but both (three of them) are correct. The thing is that for Sheldon the somatotype represents what is in our genes and we must always observe the requirements for our body type and if we do not do that we will quickly return to our past form. While Heath-Carter put in another sense in body types and use them to determine the current composition of the body. What happens when you stop training (losing muscle mass quickly, getting fat or almost keep your appearance). Judging by the various body types and their combinations, it seems that to achieve success in sport you must first choose the right genes. Of course, this is not impossible for now, but it is possible to do the best for yourself, knowing about the most appropriate method according to your somatotype. Many champions have not had the best hand of “genetic cards” but still managed to throw them the right way. They have succeeded at the highest level so can you. All you need is positive thinking, proper methodology and perseverance. If this article: Bodybuilding according to the Body Type was useful to you, please use the share on social networks button so it can reach more people. Thank you!